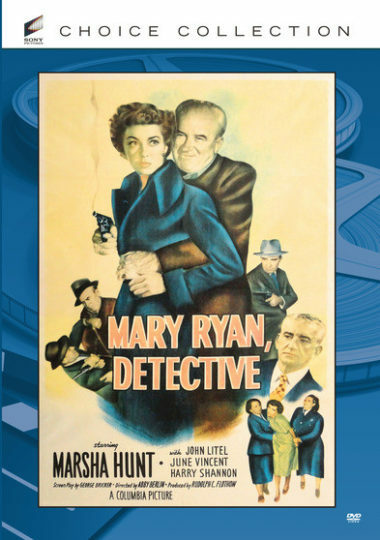 Police detective Mary Ryan (Marsha Hunt, The Human Comedy) is going undercover to take down a gang of jewel thieves. While Mary poses as a prisoner, her cellmate Wilma (Victoria Horne, Harvey) leads her to an employment agency that hires more than secretaries. Mary goes to work trying to catch the gang leader who is fencing the jewels, but a thief Mary put away (June Vincent, Black Angel) is on to her, which could lead to danger. Newly Remastered. Marsha Hunt; John Litel; William Phillips; Harry Shannon; June Vincent; Katharine Warren – 1950 – BW – 67 Minutes.